itel to launch its power packed A45 smartphone in India by end of August 2018. We also got some leaks info about it including its image and some of the features which we have shared herewith. itel has already released few latest Android and Full-View smartphones viz. itel A44, itel S42 and itel A62 and they were success in a mid-range segment. If you are interested to know more detail about itel A45 smartphone that comes with power packed features at affordable price then find it over here. The brand is set to launch its power packed A45 smartphone in India by end of this month. A recent leak confirmed that its next smartphone A45 enabled with dual rear camera, 5.45 inch and HD+ screen. The leak suggests that the phone will be one of a kind to sport premium features. We also heard it from our sources that the gadget will also equipped with fingerprint sensor and bike mode. 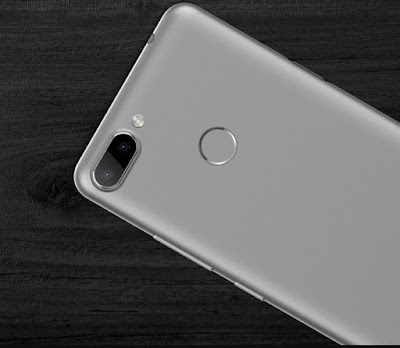 The phone is set to debut in the Indian market end of August 2018. Tips: You may wait to see this phone in case if you are planning to buy budget or mid-range smartphone anytime soon.